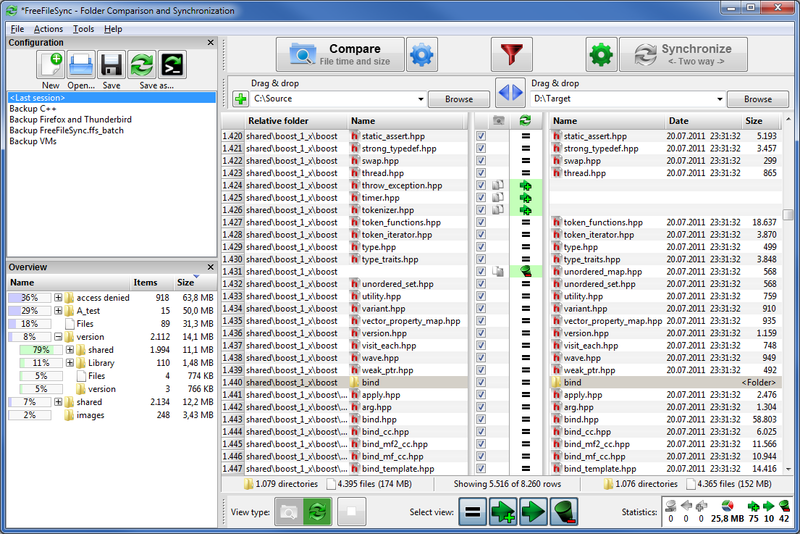 FreeFileSync is an Open-Source folder comparison and synchronization tool. 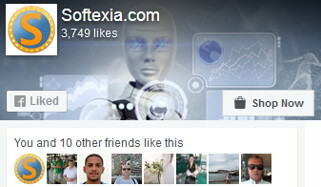 It is optimized for highest performance and usability without restricted or overloaded UI interfaces. FreeFileSync enables you to synchronize files between two folders or drives. You can either mirror two folders to create an exact copy of the source folder. Or perform a two-way synchronization that will copy new or updated files in both directions. 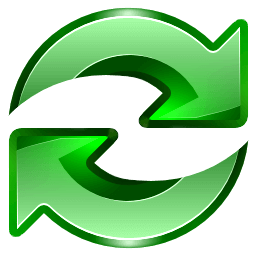 FreeFileSync has Unicode support and Network support. Synchronization database for propagation of deleted files and conflict detection. Also supports the multiple folder pairs with distinct configuration. Full support for Windows Symbolic Links and Windows Junction Points also is available. Furthermore, the program supports an Update mode which will only copy files that are new or have been changed. Compare files (bytewise or by date) and synchronize them. Create Batch Jobs for automated synchronization with or without GUI. Optimized performance, coded in C++ completely. Full support for Windows/Linux Symbolic Links and Windows Junction Points. Built-in support for very long filenames (more than MAX_PATH = 260 characters). Lean and easily accessible UI: only useful functionality, no feature bloat. Support for filesizes larger than 4 GB. Option to move files to Recycle Bin instead of deleting/overwriting them. Ignore directories “RECYCLER” and “System Volume Information” with default filter. Delete before copy: Avoid disc space shortages for large sync-jobs. Filter functionality to include/exclude files from synchronization. Automatically handle daylight saving time changes on FAT/FAT32 volumes. Portable version available (selectable via installer). Opt-in for automatic online update. Localized versions are available for many languages. Copy file create/modification times when synchronizing. Advanced locking strategy to allow multiple synchronization processes (e.g. multiple writers, same network share). Yes, it's very useful! THX!!! I LOVE this freeware. Thanks for the news.